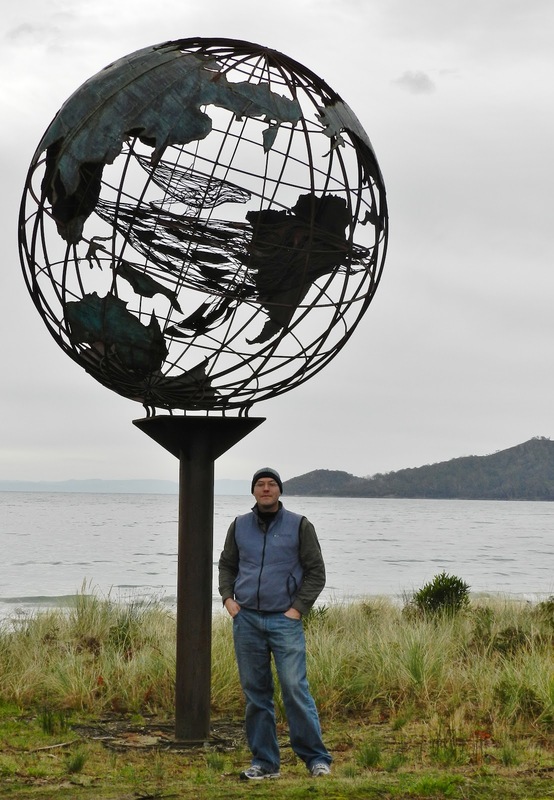 Bruny Island was an interesting place, but I think we both felt a little disappointed after the rest of Tasmania. It is very, very quiet on Bruny. It is a beautiful place, but by the time we got there, we had seen so much beauty. Personally, I think we would have both spent a little more time around Freycinet and at Kabuki by the Sea. We also were both getting sick with a cold in Bruny, so that probably colored our views, too. I had wanted to take the wildlife cruise, but one day it was raining and the next day I just didn’t feel up for it. Above is a sculpture that some locals made after a whale was beached at Adventure Bay. If you look closely, you can see two whales inside the globe. I went out two nights trying to spot the Fairy Penguins, the smallest penguins. These have holes that they dig in the ground. The first night, I didn’t see anything, but I didn’t know how long to stay out in the night. The second night I was better prepared and had red cellophane to put over a flashlight. Right off the bat I saw a wallaby and could hear it munching away as I watched the surf. Eventually, I could see some penguins! They clustered around by the water’s edge (the left side of the photo below was where the blind for watching them was located). Then a small group of them decided it was time to make the trip and the shuffled along, right alongside of the blind I was behind, so I could see them quite close up. I had experimented trying to take red light photos of the wallaby, without much luck, so I knew there was no point in trying to photograph the penguins, so I just enjoyed watching them shuffle along and listened to all their calls from their burrows. 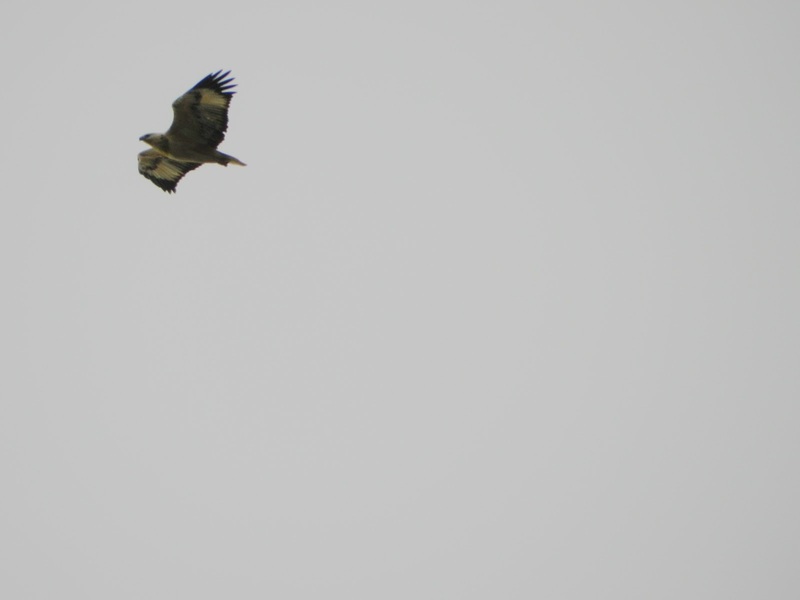 Of course, there were more birds to photograph, here are some that were flying around where we were staying at Alonnah. 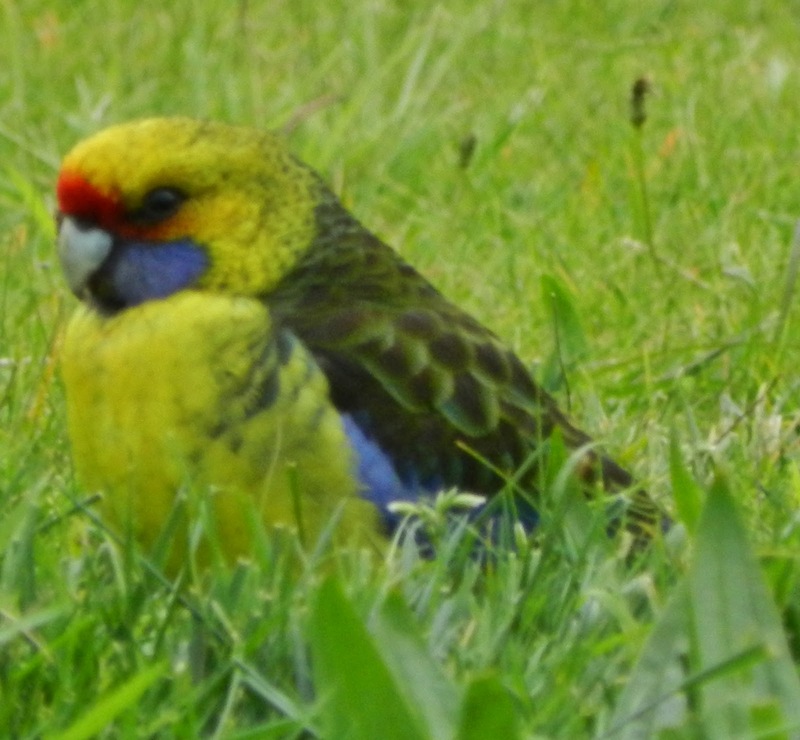 I think the bird bottom left is a Sea Eagle and of course the ubiquitous Green Rosella, foraging in the backyard and a flock in flight. 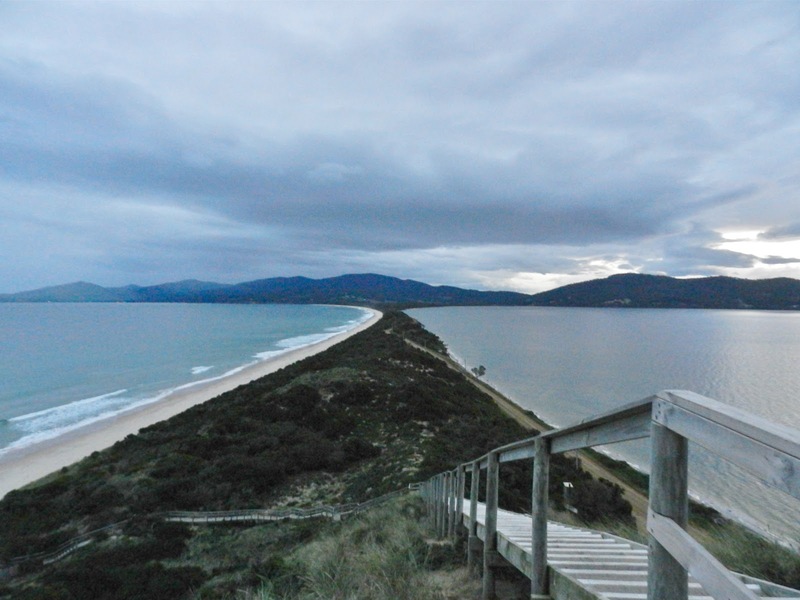 This entry was posted in Being Fully Human, Being in the World and tagged Australia, Bruny Island, Tasmania, Travel. Bookmark the permalink.